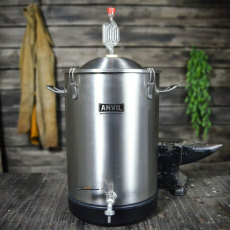 We are proud to bring you Anvil Bucket Fermentors, a cost-effective, stainless steel solution to your fermenting needs! 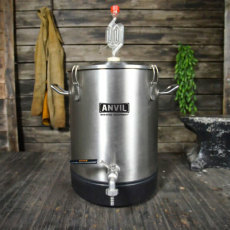 These fermenters give you options for fermenting your beer, wine, cider, or other beverages in sanitary stainless steel at a fraction of the cost of pricey conical fermenters! These feature a rotating dip tube, ball valve, and etched volume markings. Great for those who want to make the leap into stainless fermenters with a ton of options at a great price point!